The best lamb burgers on the grounds! 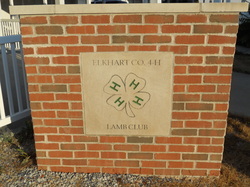 Visit us July 21-29, 2017 at the Elkhart County 4-H Lamb Club's Lamb Booth! Enjoy great lamb products as well as many other foods!